Science, technology, engineering, art, and math work together to make learning fun in these STEAM lessons! 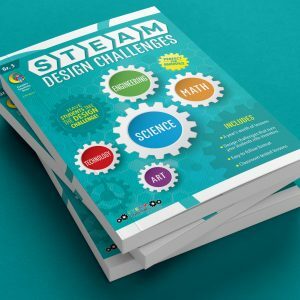 The STEAM Design Challenges in this book follow engineering practices to teach students in Grade 5 to solve a problem by designing, creating, and justifying their designs. They also allow art to support and enhance the learning of science and math while the engineering process is followed.